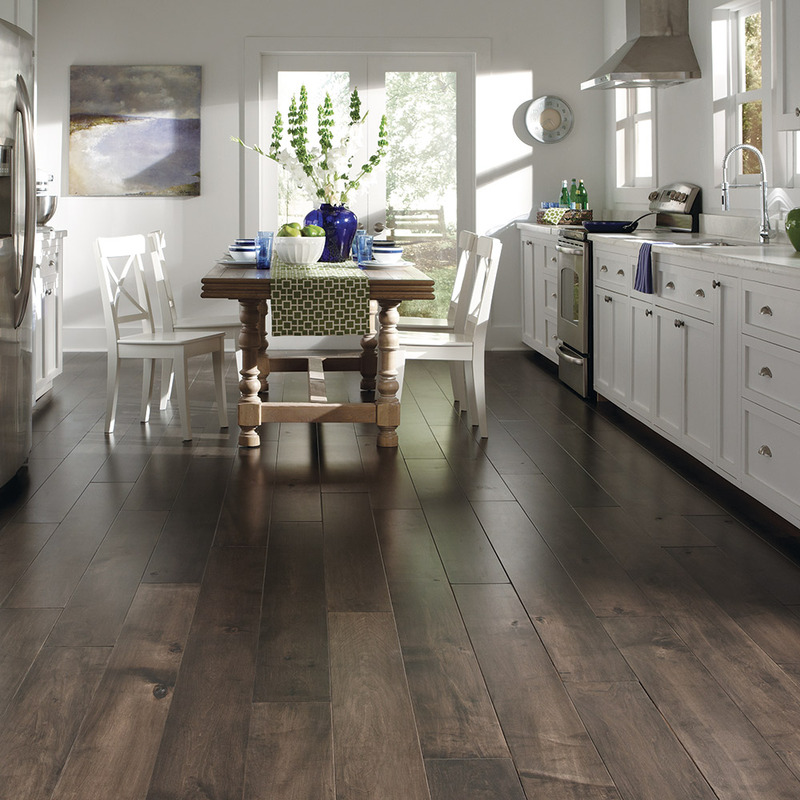 Engineered wood floors add warmth and value to your home. Engineered hardwood offers more resistance to moisture than solid wood. Manufacturers now have the ability to produce better quality finishes and have superior construction techniques. Wood floors are manufactured using two or more layers of wood in various thicknesses. The top layer, which is the only layer that is visible, uses high-quality wood. The layers that are not visible can be of the same species of wood, a composite material, or different wood species. The grain of each layer runs in perpendicular directions, making it very dimensionally stable. This means that the wood will expand and contract less than solid wood floors during fluctuations in humidity and temperature. Engineered wood floors can be used in any room in the home, including those below ground.